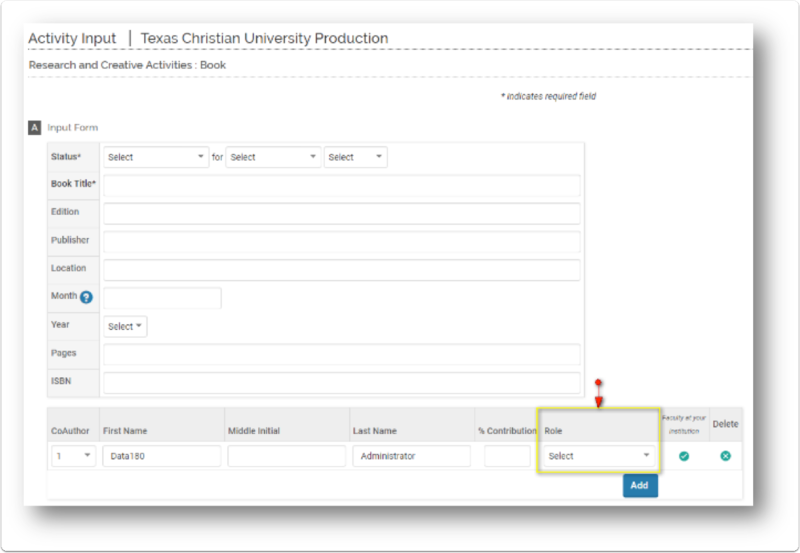 If you would like to add this field functionality to your instance of Faculty180, than please have your institutional administrator submit a ticket to help@interfolio.com. For the Scholarly Contributions Activity sub-types, Book, Chapters, Journal Publication, etc.) 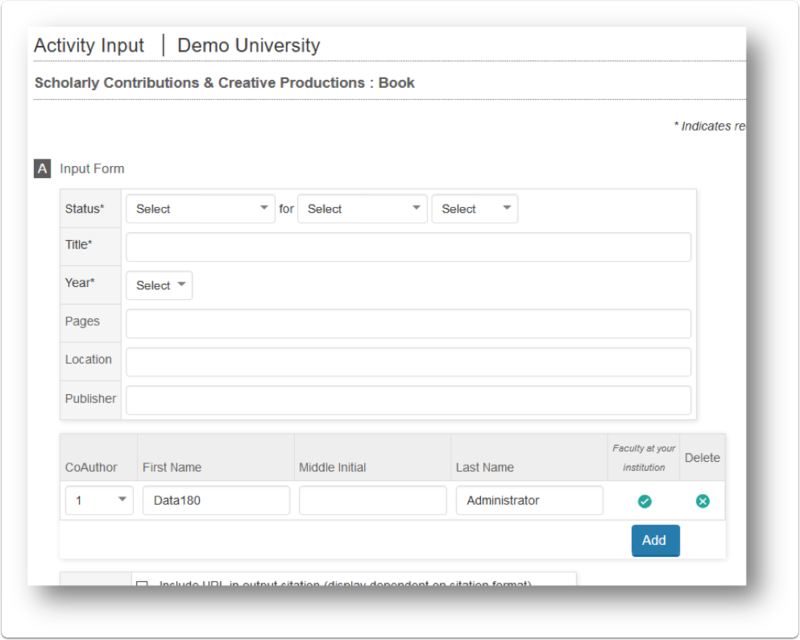 that have authors and potentially, editor roles, than we recommend that the column for ‘Role’ be added and configured to the co-author table. Below are two images to demonstrate the difference before and after the change has been added. 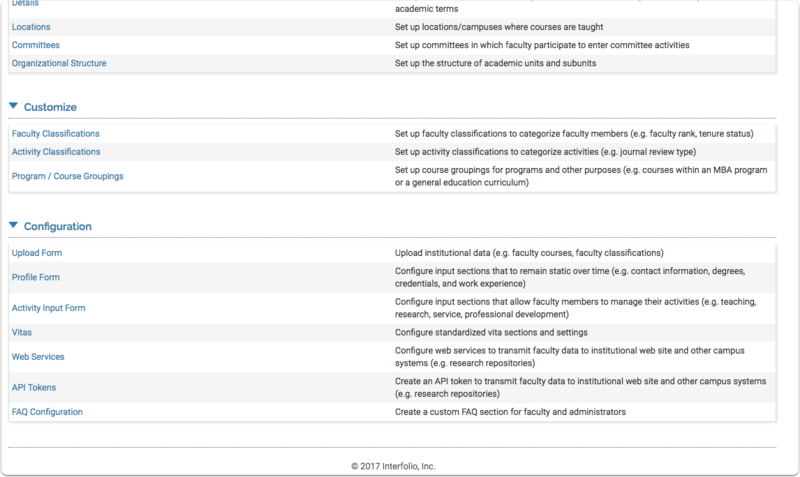 If the citation is one that identifies the ‘Editor’, then that notation will pull from the ‘Role’ column appropriately. Otherwise, the notation on the vita template will have ‘counts’. The number of (whatever is in the drop down as options). 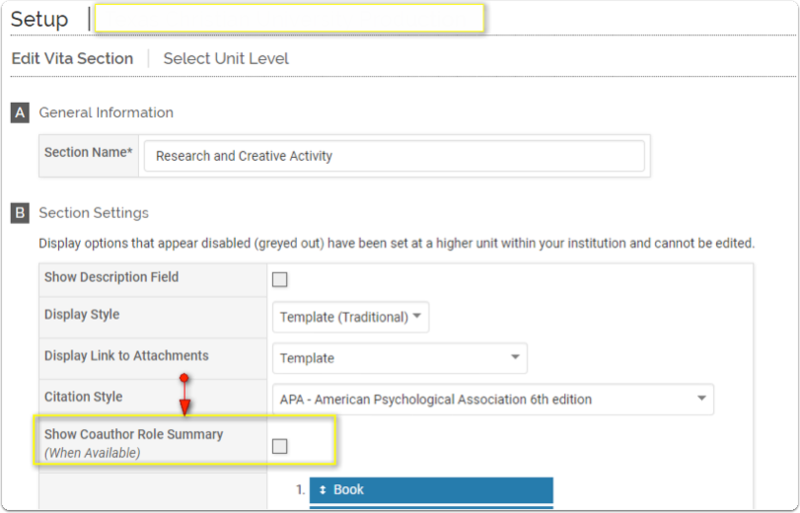 Currently, there is no report that lists the number of users in this ‘role’ type specific to an activity or as a whole. 2. Select Vitas, and then the relevant vita template that you wish to modify. This option will not be available unless it has been enabled per request of the Interfolio Administrator.